Home Crepe Blog Happy Canada Day! What a beautiful day to celebrate Canada’s 144th birthday. The Royal couple joined Canadians in Ottawa today to take part in the day’s celebrations. 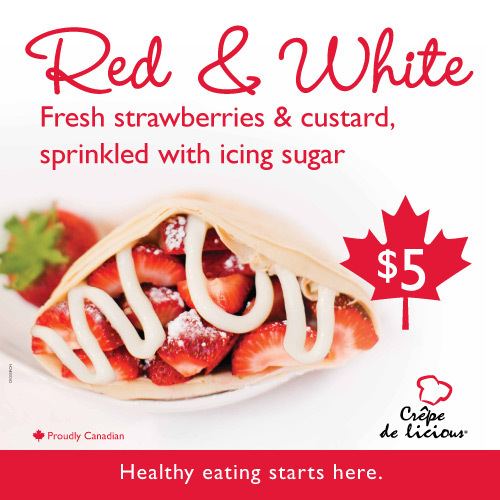 This month, enjoy a ‘Red and White’ crepe as you follow the Duke & Duchess of Cambridge on their 12 day visit to North America. Fresh strawberries & custard, sprinkled with icing sugar. Who can resist?